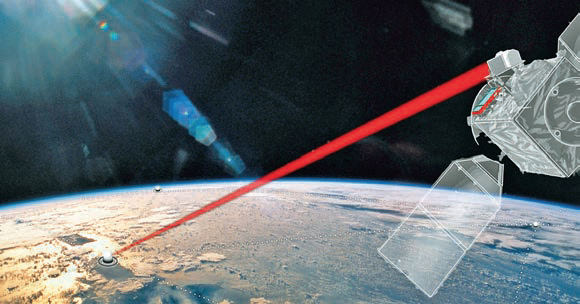 After decades of development, space-based optical (laser) communications appears poised to achieve widespread adoption within the commercial smallsat community. The capability of this technology to securely downlink large amounts of data has already been well-established on numerous missions. However, recent technological advances and new design approaches in optical comms are allowing innovative companies to bring to market data delivery solutions at a lower cost than equivalent RF designs, while offering much better capabilities. The optical comm systems that are now coming online can achieve high-rate data downlinks for LEO smallsat missions at an order of magnitude better than what was previously possible. While much has been made about the history of optical communications, the real breakthrough comes from large investments in technologies geared for complex missions with requirements that can’t be met by RF systems by organizations including NASA, ESA, JAXA, DLR, and NICT. This new generation of optical comm designs help to overcome the constraints experienced by smallsat operators with traditional RF systems. One of the areas that optical communications can address is the downlink of data from LEO smallsats. Smallsat operators are preparing ever more ambitious projects to feed the big data needs of their target audiences. The value for these companies is based on delivering information, so operators have responded with some incredibly innovative satellite systems to generate the necessary data, leveraging the latest advances in sensor, electronics, small satellites, and cheap launch vehicles. But there is still one limitation: delivering this valuable data to the ground. Currently, 27 percent of smallsat Earth Observation (EO) missions generate more data than they are able to downlink. This problem is only going to get worse, according to a study by Northern Sky Research, as it stems from the limited data capability of RF systems, which only offer data rates in the Mbps. Current optical comm systems offer much higher capability: existing hardware provides data rates of 1 to 10 Gbps. Development is underway for designs capable of 100 Gbps or more. For smallsat operators looking to deploy EO or sensing missions, this improved capability offers the potential to downlink all of their data generated on orbit, without on-board compression or complex priority tasking. Intertwined with the data downlink problem is the limitation in RF spectrum. A new LEO smallsat operator can attempt to overcome the gap between data generation and RF downlink capability by filing for higher frequency Ku- or Ka-band spectrum that can offer multiple Gbps of data downlink. However, the filing process through the International Telecommunication Union (ITU) is long and difficult and success is not guaranteed. Optical communications do not have that issue because of its inherent directional property that precludes interference. 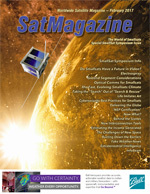 Multiple smallsats with optical comm terminals could all transmit to the same ground location unimpeded, as long as there is a unique ground station terminal linking to each. Also inherent with the directional properties of lasers is the ability to provide a secure data link. 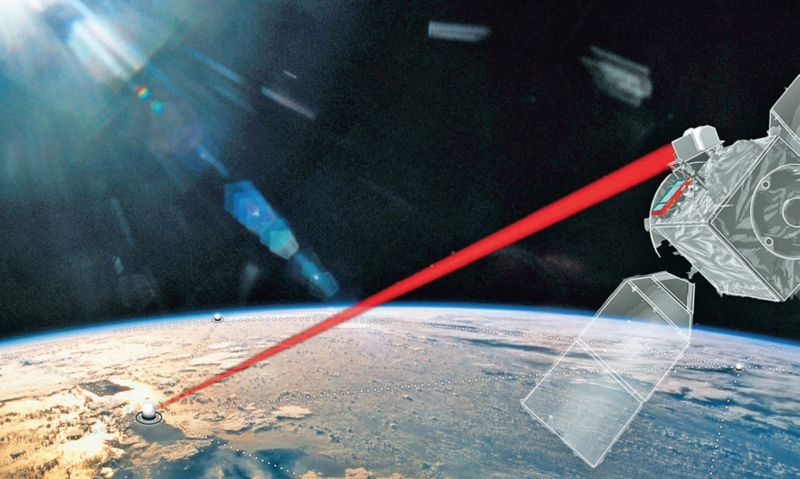 In addition to limiting interference, the directional nature of lasers makes it extremely difficult to intercept or jam a smallsat optical comm link. Of course, this feature is well appreciated by the government and commercial entities that need to pass data securely without being intercepted or located. But this feature is also valuable to new smallsat LEO operators that are downlinking their sensitive imaging or sensor data. Commercial satellite broadcasters have seen an alarming increase in jamming activity, so the adoption of optical comms potentially provides insurance against future interference for new LEO operators. Until recently, optical communications space terminals were too large to compete with existing RF hardware. However, the landscape for small optical comm terminals has changed dramatically in the last few years. This is largely due to advancements in optical beam steering mechanisms. To achieve high data rates, optical comms hardware has to achieve either very tight pointing or high power output. This previously drove the design of large, complex steering mechanisms on stable, but heavy, optical benches, in addition to power-inefficient multi-stage optical amplifiers. Recent optical head assembly designs that utilize fine steering mirrors (FSM) with robust piezoelectric actuators, and optical beacon tracking, provide a tighter optical comm beam in a much smaller package. In turn, this reduces the required power output for the optical amplifiers, resulting in a smaller electronics package. Recent commercially available designs are less than 10 kg, and some are even available in a form factor that fits in CubeSat. Which brings us to the main benefit for smallsat operators of optical comms: high data downlink at a less expensive price than traditional RF solutions. The aforementioned advancements in optical comm space terminal designs have allowed manufacturers to more readily adopt terrestrial optical comms technology that can be space-qualified. Until recently, there was another major expense that hindered commercial smallsat adoption of optical communications: access to ground stations that work with optical communications. For RF systems, satellite operators have numerous ground choices, including leasing access from commercial ground network providers or simply building their own ground stations. Optical comms require a large network of ground stations to provide the necessary site diversity to overcome cloud attenuation. For any single LEO operator to develop this expansive network can be financially prohibitive. This is where BridgeSat steps in—BridgeSat plans to offer access to a global optical communications ground network on a fixed price per delivered GB that is cheaper than equivalent RF pricing with no upfront capital expenditure. Because BridgeSat will only accept payment once the data is delivered to the operator’s cloud storage location, this removes the risk for operators considering the adoption of optical communications. For smallsat operators that are developing their satellite architecture, optical comms should be a key part of their trade space. If the satellites are generating a lot of data, then optical comms should be an easy decision. It is understandable that there has been a reluctance to move from the tried-and-true RF realm to optical comms. Partly, this has been due to a lack of commercially feasible optical comms solutions—that is quickly changing. BridgeSat has embarked on achieving this ambitious plan, starting with the goal of developing a satellite-to-ground optical comm test at their first Optical Ground Station. This planned test is expected to demonstrate the feasibility of optical communications to consistently and reliably downlink data from LEO orbit. Once testing is complete, BridgeSat will begin to deploy the remainder of its 10 planned Optical Ground Stations around the world. When all 10 sites are in place, this fully operational network is expected to provide over 2 TB of data downlink per day for Smallsats in a LEO polar orbit. This network is planned to be operational in time to support smallsat missions launching in 2018. From there, BridgeSat aims to deploy continual ground network expansion and upgrades that will allow much higher data downlink capabilities over time, as demand dictates. Smallsat operators can now begin to imagine: what would be possible if a downlink bottleneck wasn’t an issue? Operators could add more satellites, complex sensors, and persistent data collection to their business, mining the data that is the gold of the new space age. 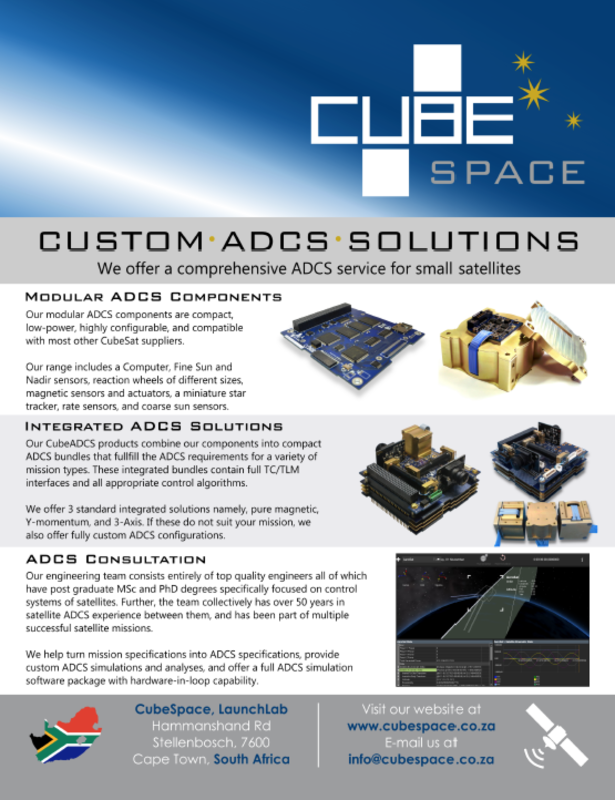 Smallsat operators have been at the forefront of innovation and adoption of commercial off-the-shelf (COTS) technology, and are the natural leaders in the coming optical communications revolution. Based on these projects, 2017 is expected to be a watershed year for optical communications, as it will be for the smallsat operators that take advantage of it. 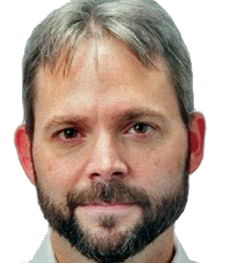 During his more than 20-year career in the satellite industry, David has served in Systems Engineering and Business Development roles at Hughes Space and Communications (now Boeing Space Systems), Orbital ATK and SSL (Space Systems Loral). David has a BS degree in Aeronautical Engineering from California Polytechnic State University, San Luis Obispo (SLO), a MS degree in Aeronautics and Astronautics from Stanford University, and an MBA from the MIT Sloan School of Management.